There are many factors that must come together to help our patients achieve a successful, healthy pregnancy. The expertise of our world-class doctors and staff is an essential piece of the equation. But a critical part of the in vitro fertilization (IVF) process happens in a place that most patients never see: our laboratory. CCRM labs are state-of-the-art facilities with every aspect designed to maximize your chances of having a healthy baby. Our research teams have worked tirelessly to determine the best environment, technology and equipment in our labs to achieve successful pregnancies, and they are constantly working to improve these standards. Not all fertility labs are equal in terms of the quality of the environment and measures taken to ensure the maximal chances of creating and growing embryos. It is the quality of our labs and our esteemed research facility that sets us apart from our peers. Our expertise and dedication to lab operations continuously produces high success rates. The quality of your embryos is one of the most important factors in your fertility. CCRM’s state-of-the-art labs and skilled embryology team help to ensure that we are creating the best quality embryos to improve your chance of in vitro fertilization (IVF) success. While infertility is often thought of as typically a female issue, about half of all infertility cases stem from male reproductive problems. Since sperm health is vital to conception, it is important to have your sperm evaluated if you are struggling with infertility. The health of the uterus represents a critical component in fertility. 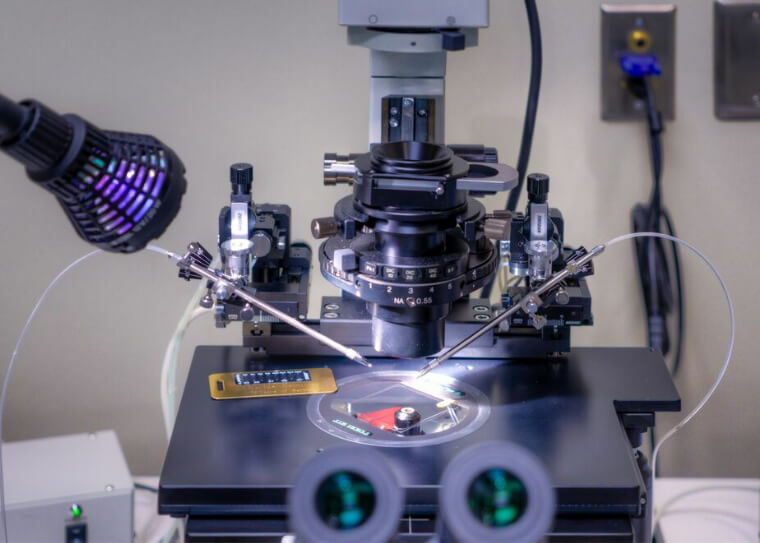 CCRM utilizes the latest technologies to assess the uterus and determine the best time for embryo transfer to increase the likelihood of a successful IVF outcome. Hormones often play a crucial role in fertility treatment. FSH and LH hormone injections are the main treatment for women with ovulation disorders or for women with unexplained fertility. By only selecting and using the highest quality chromosomally normal embryos possible during the in vitro fertilization (IVF) process, it reduces the likelihood of implantation failure, miscarriage, and gives you the best chance of delivering a healthy baby.